Nato chief Anders Fogh Rasmussen has urged EU countries to spend more on defence despite the economic crisis or risk losing US solidarity. He said in a foreword to the alliance's report on 2012, out on Thursday (31 January), that: "If current defence spending trends were to continue, that would limit the practical ability of Nato's European nations to work together with their North American allies. But it would also risk weakening the political support for our alliance in the United States." He added Nato is still "the most important military power in the world." But he warned: "The security challenges of the 21st century - terrorism, proliferation, piracy, cyber warfare, unstable states - will not go away as we focus on fixing our economies." He also said "the rise of emerging powers could create a growing gap between their capacity to act and exert influence on the international stage and our ability to do so." The Nato report says the US accounted for 72 percent of Nato countries' defence spending in 2012 compared to 68 percent in 2007. France, Germany, Italy and the UK made up the bulk of the rest, but the French contribution fell steeply. "This has the potential to undermine alliance solidarity and puts at risk the ability of the European allies to act without the involvement of the United States," the report notes. It adds that Nato spending as a proportion of world military expenditure fell to 60 percent in 2011 from 69 percent in 2003 and is to hit 56 percent in 2014. The angst over EU defence capabilities is not new. Former US defence chief Robert Gates in a speech in Brussels in 2011 also voiced alarm. "The blunt reality is that there will be dwindling appetite and patience in the US Congress - and in the American body politic writ large - to expend increasingly precious funds on behalf of nations that are apparently unwilling to devote the necessary resources or make the necessary changes to be serious and capable partners in their own defence," he said at the time. Gates and Fogh Rasmussen's anxiety is not confined to Nato. Speaking in Brussels also on Thursday on the margins of an EU foreign ministers' meeting, Poland's Radek Sikorski said the Union needs a real defence force of its own. "I think the Mali crisis shows this is necessary because the next crisis could unfold even more quickly and we need to be able to react instantly," he told press. "Let's recall that events in Mali unfolded very fast. The terrorists crossed the line of contact and France reacted from one day to the next. But we know that in the EU, as in the Vatican, the wheels of state turn very slowly," he added. 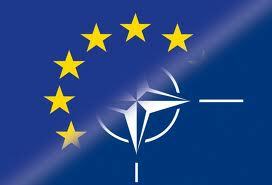 The latest EU figures appear to show that some of the worst crisis-hit EU countries are still ploughing money into new weapons despite Nato's concerns. The report says that fellow EU countries in 2011 granted significant amounts of export licences to Greece (€783mn), Portugal (€397mn) and Spain (€1.6bn). The numbers do not tell the whole story, however. France, which makes up most of the Greek figure, granted licences to negotiate future arms sales rather than export licences as such. A large chunk of the Spanish number relates to cross-border movements of spare parts in defence projects, such as Eurofighter or Typhoon, managed by the European defence consortium Eads. Most of the Portuguese figure relates to deliveries from a 2005 deal to buy armoured vehicles from Austrian firm Steyr. Lisbon cancelled the contract last November because Steyr delivered just 166 out of 260 units, invoking a €55 million penalty against the supplier. "Portugal, in the last two years, reduced its budget for the purchase of military equipment by over 60 percent ... Also for budgetary reasons, though not only for that, Portugal, in 2011, decided to withdraw from several military programs, such as NH90 helicopters," its ministry of defence told EUObserver.